Every year I love keeping an eye on all the promotional campaigns in the run up to Black Friday (24th November this year). There are loads of competitions that you can enter with no purchase necessary, giving yourself a chance to win some amazing prizes. 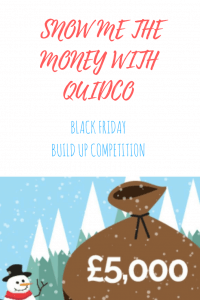 The Snow Me The Money competition is this year’s offering by Quidco. It takes less than a minute, you can dip and out any day you like throughout the 23 days of the competition; the more you enter, the more chances you have to win! If you aren’t already a Quidco member, sign up here. When you head on to the Quidco home page, at the bottom of the page is an opt in box which you need to click in order to view clues. If you don’t tick this box, you won’t be able to collect tokens so you do need to action this to enter. Each day there are TWO daily clues for retailers listed on Quidco (top tip: the retailers involved are usually the sponsors which you will find on the sponsors page of the competition). You have to solve the clues, then head over to the retailers’ page on Quidco and find the snowman to collect a pressie sack. Then you’ll see what you have won! Collecting a Snow Me The Money token (‘instant win’ or otherwise) secures a single entry into the Super Draw. No purchase is necessary so there is absolutely nothing to lose and potentially a nice little cash prize to gain! 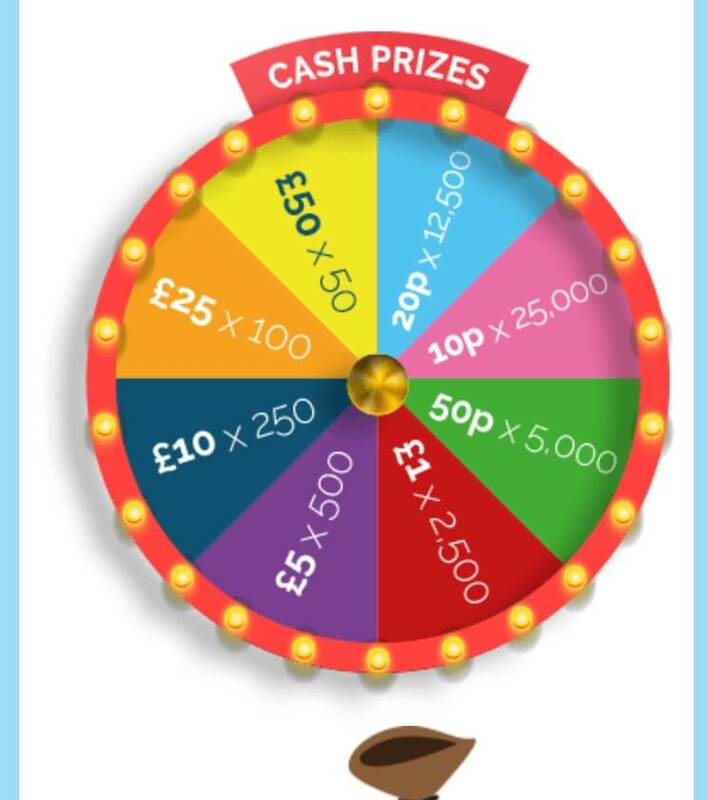 Top tip: if you click both the Facebook and Twitter social buttons on the “Bonus Super Draw Entry” tab on the giveaway screen and share, you’ll get 20 extra entries in to the prize draw. The 1st place prize in the Super Draw – drawn on 28 November – is £5,000 cash. You can win instant cash prizes from 10p through to £50 each day. Instant win cash prizes will be allotted to the accounts of winning members by 24 December 2017. The competition closes on 23 November 2017 so get going! Good luck everyone! 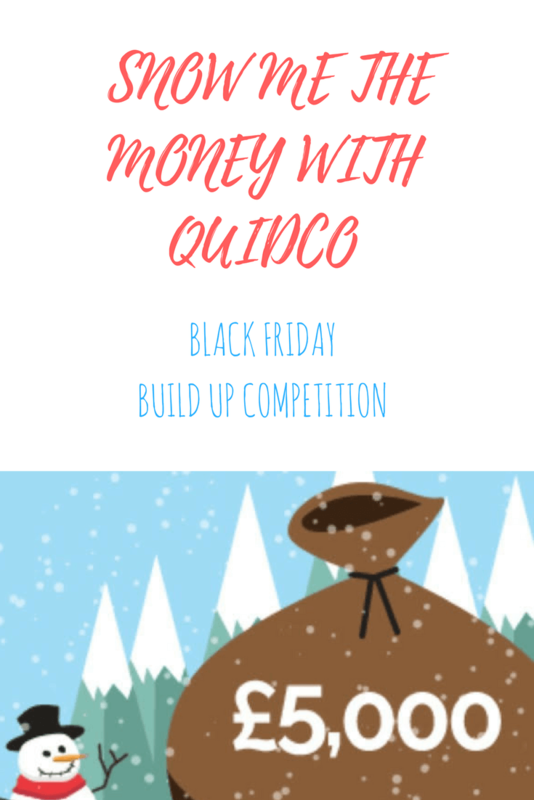 The sponsors have enhanced rates of cashback on throughout the competition so it’s great to be checking in to Quidco regularly if you are starting your Christmas shopping early. I am well on my way to beating last year’s cashback target and I haven’t done much Christmas shopping yet!